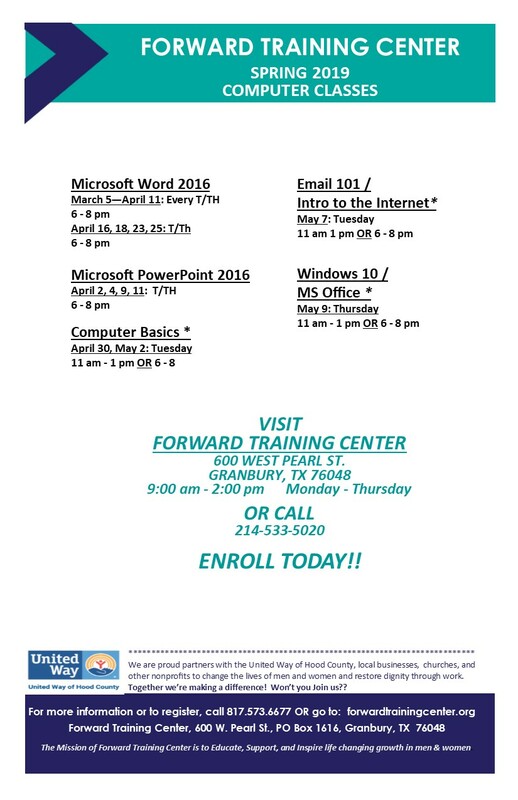 Forward Training Center could not exist in the Hood County community if it weren’t for the selfless local individuals and businesses to sacrifice their time and some of their profits to give back to a cause they believe in. We have been so fortunate to partner with so many giving businesses. To share a little about a business making a big impact, we’d like to highlight Christian Brothers Automotive in Granbury, north on Highway 377. They are running a big promotion for our organization, truly a small business giving in a big way. Both in volunteering AND in a big special. Katy Offutt, Executive Director at Forward Training Center of Hood County, spoke highly of the local business and its owner, Mike Loter. The business emulates our concept of ‘Community in Unity;’ partnering together to do good locally, because we make a bigger impact together. Our students need volunteers who can give them this accurate career experience in order to make our programs effective, and best prepare them for their future career goals. Even more than just giving to Forward Training Center, Mike gives back to our community as a whole, too. 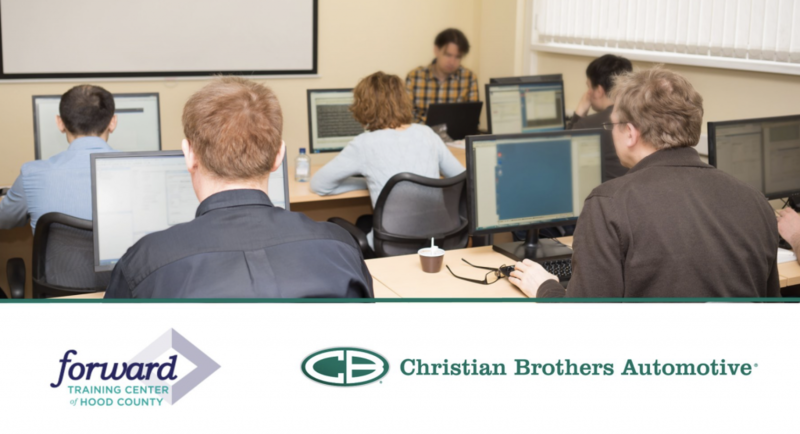 Christian Brothers exemplifies all the components of a trustworthy, reliable Christian business and employer that models excellence and leadership for our students. Mike also serves on key Boards of Directors and is a Rotarian. He personally, and as a business, gives back to Hood County by volunteering hours, serving his fellow man and impacting those in need to have a hope and a future. Thank you, Mike, for making a difference in our community, our lives, and our students’ lives. You are a blessing!